Sophie’s Domestic House Cleaning Company In Cumbria: Carlisle Barrow-in-Furness Kendal Whitehaven Workington Penrith Ulverston Isle of Walney Maryport Dalton-in-Furness Windermere Cockermouth Cleator Moor Millom Egremont Wigton Askam in Furness Ambleside Silloth Aspatria Arnside Milnthorpe Frizington Kirkby Stephen Seascale Dearham Flimby Distington Scotby The Lake District. 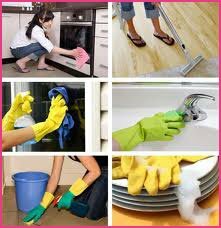 Sophie’s House Cleaning provide honest and reliable domestic cleaners for all your housework chores in homes. Everything we do is designed to serve your cleaning needs with speed, convenience and quality. At Sophie’s House Cleaning we have a proud reputation as the No.1 choice for domestic cleaning, offering a professional recommended service to people across the North West. At Sophie’s House Cleaning we have a proud reputation as the No.1 choice for domestic cleaning, offering a professional service to people across the North. We pride ourselves on providing the best cleaning service using materials that cause no harm to you & your family or the environment. Recommended Cleaning Companies & Our Home Cleaning Services Are Second To None.